Offering the unique capabilities of exceptional mechanical protection and an anti-impact design, the Portwest Anti Impact Cut Resistant Gloves A722 perform excellently in applications such as engineering, machinery use and construction. 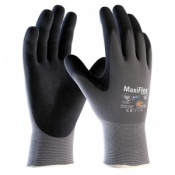 They are fitted with a reinforced thumb crotch and a number of flexible PVC impact pods that guarantee outstanding protection, most suitable for use in heavy duty applications. 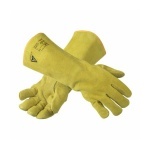 During heavy duty applications, it is important to consider the risk of heavy impact of materials onto your hands. 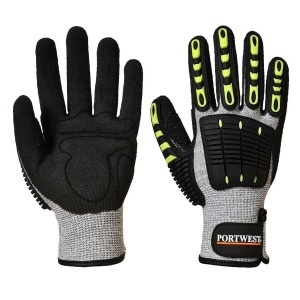 This poses risk of a serious injury, so the A722 Portwest Gloves have incorporated flexible PVC impact pods onto the back of the hand and fingers which work to absorb any impact that may occur.